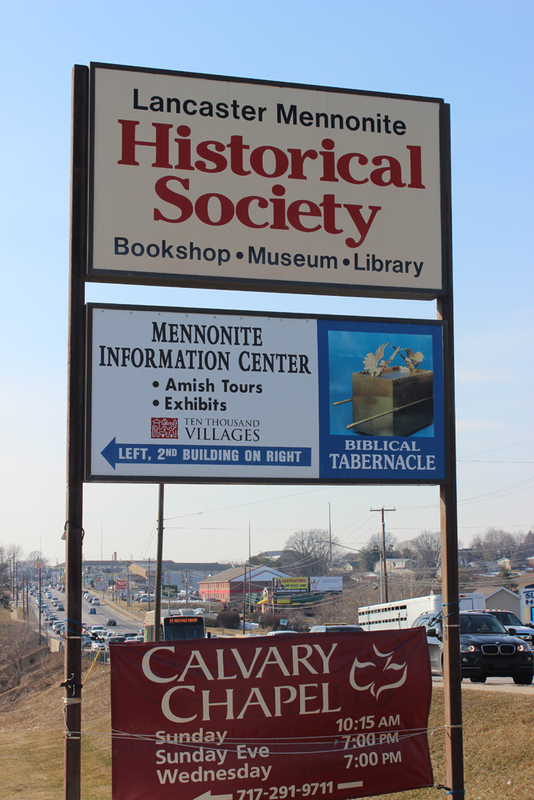 The Historian attended a workshop on DACS, an archival content standard for archives and libraries, at the Lancaster Mennonite Historical Society, March, 2014. Traffic on the busy Lincoln Highway rushes past important historic records in the nearby archives that remind one of an earlier era, before tour buses, harried shoppers, and commercialism changed the idyllic Lancaster farmland. Massanutten Mountain from Greenmount and Sky Road intersection, Rockingham County, Virginia, a photo by MennoniteArchivesofVirginia on Flickr. On a trip from Singers Glen, Virginia, to Harrisonburg, Virginia, the historian spotted this grand view of the Massanutten Mountain. On his trips to Harrisonburg, musician Joseph Funk probably paused to relish in the ancient beauty of the distant mountain peak. 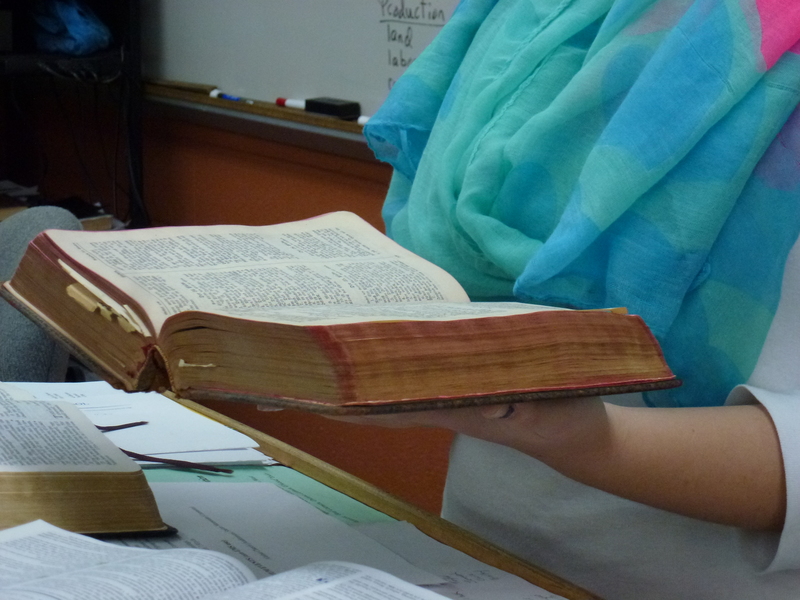 Perhaps it was inspiration for his printing and musical work in the valley. Mole Hill rises out of the horizon (left middle) when viewed from the western region of Rockingham County, Virginia, January, 2014. 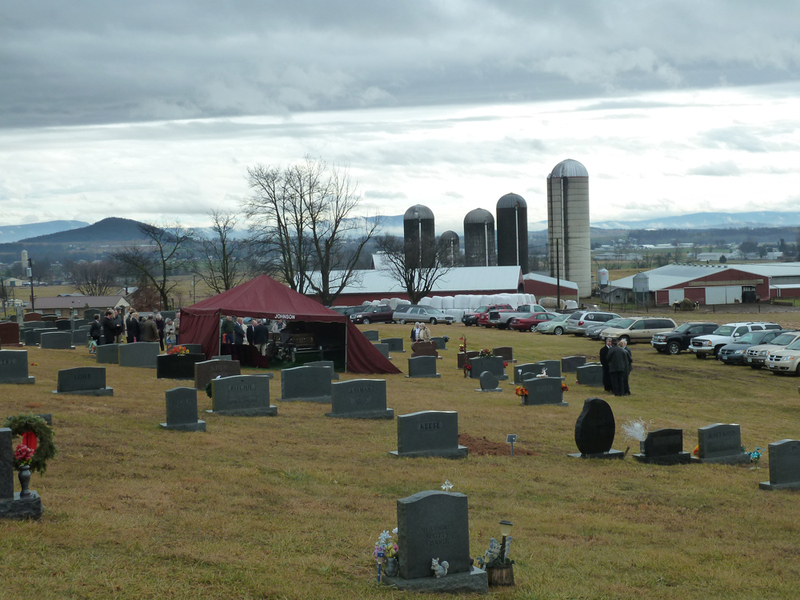 Mennonite farms, along with others in the region dot the winter landscape in the distance beyond a Saturday morning funeral that brought a thunderstorm to the attenders. 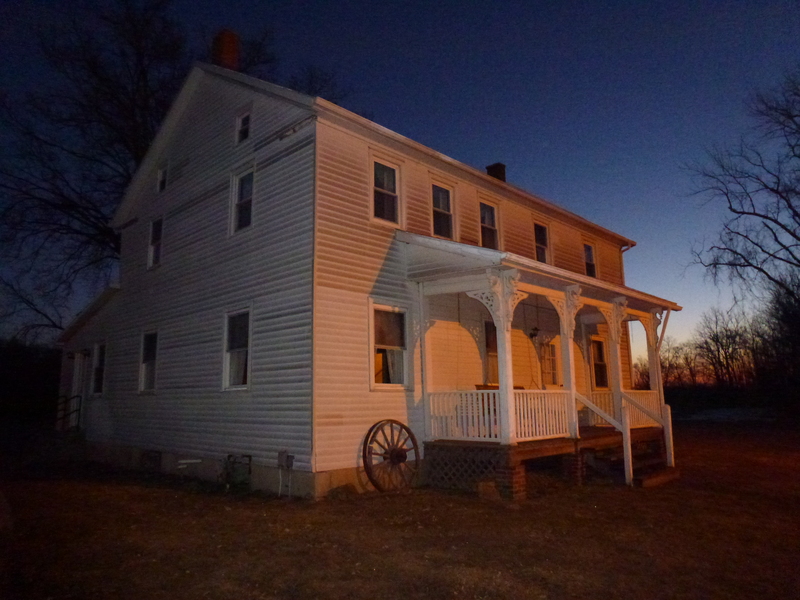 Burkholder-Myers house, CrossRoads Heritage Center, December 7, 2013, a photo by MennoniteArchivesofVirginia on Flickr. Christmas on a cold December evening at the historic 1854 Burkholder-Myers house in Harrisonburg, Virginia, with twenty-first century lights and a football field in the distance. Martin and Rebecca Burkholder would find it a challenge to recognize their own house. 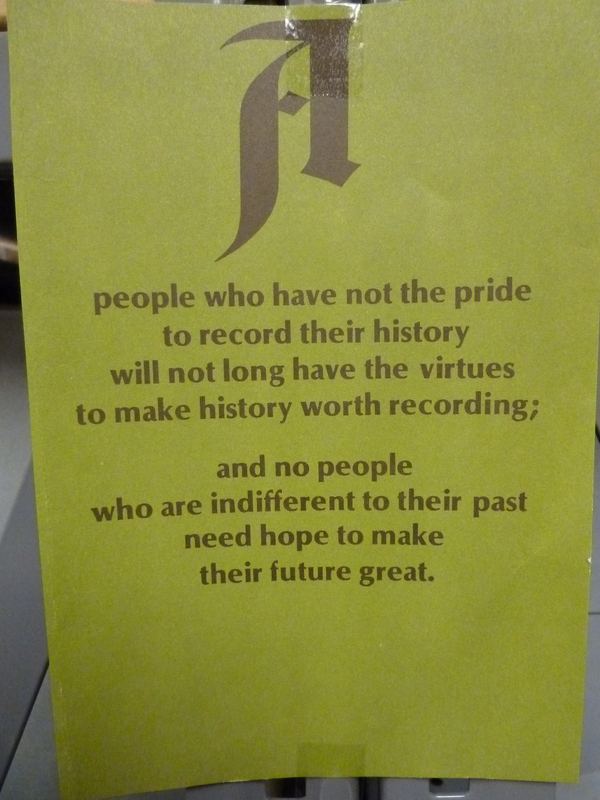 The Historian found this small poster taped to the shelves in the Virginia Mennonite Conference Archives, Harrisonburg, Virginia. May we never be indifferent to our past. Virginia Mennonite Bishop Lewis Shank, Broadway, Virginia, a photo by MennoniteArchivesofVirginia on Flickr. The Historian discovered this rare photo of the Bishop in the Archives the other day. This photo was a total surprise. The only other photo of Bishop Shank is a grainy uncomplimentary photo. Nice to see a better photo.